That is so cool! What a way to decorate a bicycle. 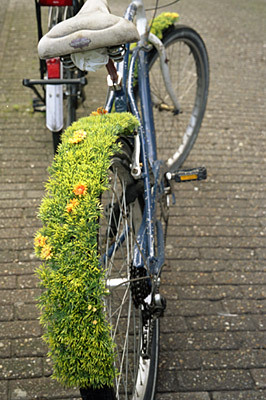 I want a bicycle like this to decorate, too. These always bring big smiles to my face!